According to a reliable source, deep within the government, President Kufuor is in the process of creating a couple of new ministries. 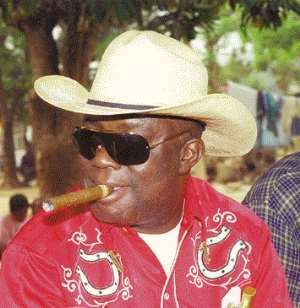 The Ministry for beautification of Kumasi, to be based in Kumasi, is expected to be run by Kofi Wayo. This ministry, like it's Accra counterpart, will be responsible for the modernization of the garden city. The idea of awarding the post to Wayo is to keep him quiet and away from Accra. Nana “Okumkom” Agyeman will be the deputy. Kofi Wayo has so far refused to comment on the rumour. The trusted source also revealed to this writer, that some time in March, a ministry for HIV/AIDS would be created. The former health minister, Kwaku Afriyie will head that ministry. Nana Akomea is expected to be his deputy.